think of it as a minuscule thing that is just part of our oral hygiene life. Yes most people bleed now and again but if it’s every day when you brush then it’s a surefire sign you are starting to develop gum disease. In today’s article we will go through in full detail the ins and outs of gum disease so you are fully aware of the dangers this can cause to your teeth. Tartar (calculus) is a form of hardened dental plaque caused by the continuous build up of minerals from saliva on plaque on the teeth. It’s rough surface provides an ideal medium for further plaque formation which eventually will lead to gum problems. Did you know there are about 200 – 300 different bacterial species in the mouth but only a handful are directly responsible for dental decay and gum disease. 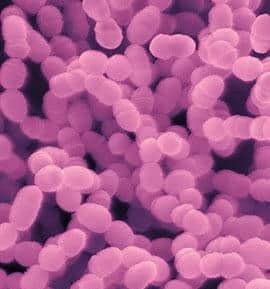 Streptococcus Mutans is the main criminal when it comes to gingivitis. It starts increasing in number which leads other bacterial populations to come and colonise the plaque, these include Actinomyces species and Veillonella. If you don’t do anything at this stage then more dangerous bacteria will come along and start colonising the plaque bio-film and this could lead to periodontal disease I.e your teeth falling out. If you suffer from anyone of these or a multiple of them, you are in trouble and need to go see a dentist ASAP!. They will examine your teeth and look at any signs of inflammation. In some cases they will take the measurement of pockets around the teeth. In healthy patients the depth should be between 1-3 millimeters. When I went to the dentist a year ago, he told me to use a chlorohexadine mouth wash specifically designed for bleeding gums. It worked to a degree but there was and still is blood when I brush my teeth but no where near the amount as before. I stopped using it after a month because I realised it was a short term fix and would not completely heal the gums. Instead I got serious about my dental health and started flossing and even brought an electric toothbrush to remove more plaque. 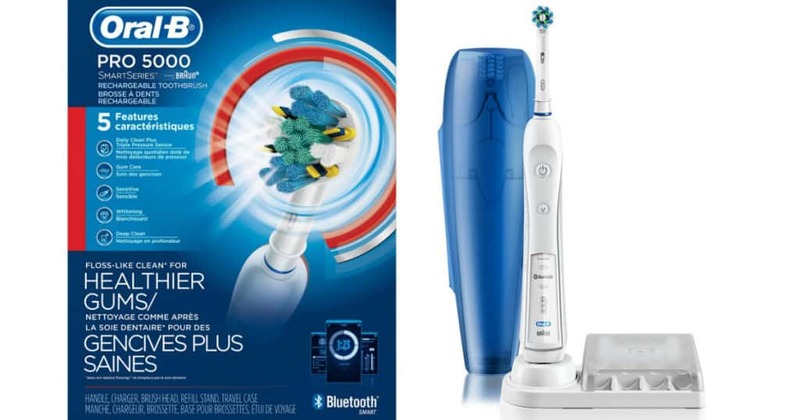 For more information on electric toothbrushes you can check out this post: Electric Vs Manual, which is better. 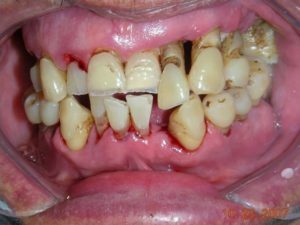 Periodontitis Will Destroy Your Teeth! Picking up from the point above about leaving gum disease untreated, if you do this then you will be heading for the advanced stages of gum disease which is periodontitis. Periodontitis is the inflammation of tissues around the teeth. It is one of the most common human diseases and is caused by periodontal bacteria. These bacteria multiply at a fast rate when conditions are right and they get this opportunity when the plaque on your teeth builds up and hardens overtime. If left untreated will cause tooth loss. Periodontitis is an irreversible inflammatory condition and represents a significant public health burden. Severe periodontitis affects over 11% of adults, is a major cause of tooth loss impacting negatively upon speech, nutrition, quality of life and self-esteem, and has systemic inflammatory consequences. It sounds so basic but the majority of people do not do it because of, either time or lack of motivation. But let me tell you, if you want to keep your teeth for a long period of time you MUST brush them, there’s no compromise here. After tooth brushing, do you floss? Hopefully you do as many food debris are still stuck in between teeth and under gums. Some people don’t believe in the notion of flossing. They think it damages the teeth, this is a Huge misconception. If you bleed quite bad when flossing, it’s because your gums are unhealthy. Now before you head out of the house for work or something else, do a simple mouth rinse with fluoridated mouthwash. It will freshen up your breath but also keep bacteria numbers under control. 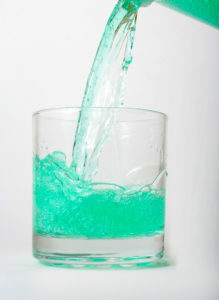 After you have had your meals you will want to rinse your mouth with water to remove loose food particles but to also get rid of acid that has been produced from the food especially drinks with a lot of sugar such as soda. After 30 minutes you should do a minor clean with floss. I Need Results Fast, Where’s The Powerful Product? Dental Pro 7 to the Rescue! Dental pro 7 is a dental care product which is made from 100% natural medicinal ingredients which are safe and beneficial. It contains a mixture of extracts from advantageous and powerful botanical products: spearmint, cloves, immortelle, myrrh, manuka, thyme, peppermint, grape seed, vitamin E, and corn mint. Each of them has its own advantages; all of which work well for protecting the teeth and gums. The manufacturer even confirms that the combination of Dental Pro’s ingredients has antibacterial properties which are 700%-higher compared to the other similar products which can be found in the marketplace. 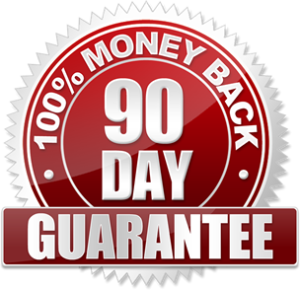 They are so confident this product works, they are backing it up with a 90-Day Money back guarantee, we don’t see any other product doing this. 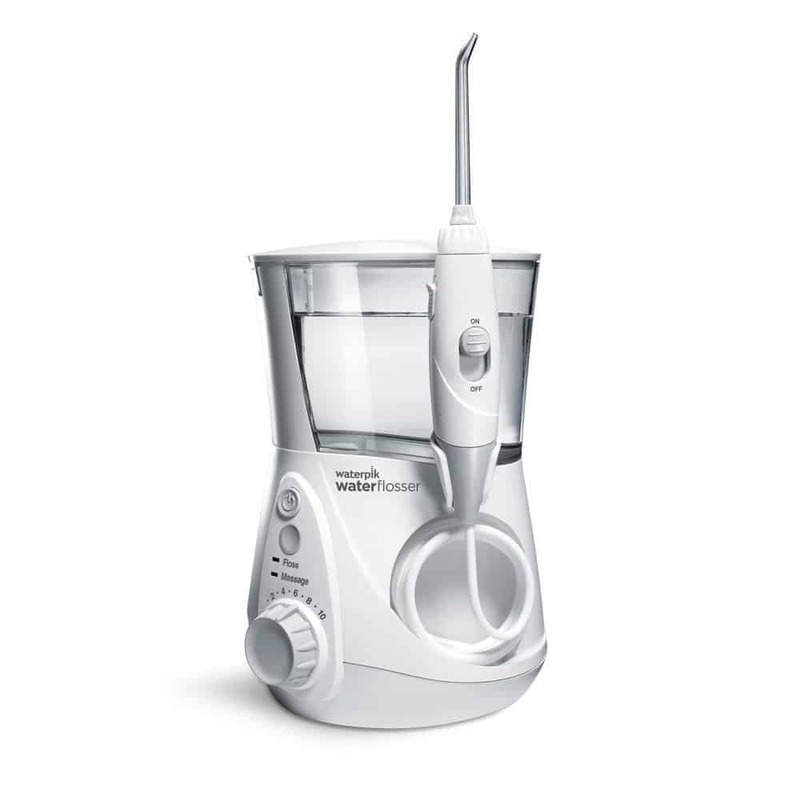 Dental pro 7 is very simple to use, it works the same way as your toothpaste or mouth wash would except it’s benefits last longer, because as you are aware, toothpaste easily comes off of your teeth once it’s rinsed with water as is the case with mouthwash. With dental pro 7, the oils seep down into your gums and beneath them destroying any bacteria that get in their way. Brush as you normally would but be gentle and try getting to the gums as well. Do this for 2 minutes. Do this 2-3 times a day, once in the morning, then again at late afternoon and then finally at nighttime before you go to bed. This way your teeth will be protected throughout the day and also the night as you sleep. Another thing you could do is get a cotton swab or light cloth and dip it into the oil and then massage it directly onto your gums. Both ways work great, It’s just what your personal preference is. But then I read that it comes with a 90-Day Money Back Guarantee I felt great again knowing that if it doesn’t work for me I will not be out-of-pocket. If you have any questions regarding this product or gum disease in general, then please get in touch with us below in the comments section. This is scary. It’s so easy to forget the little things it takes to prevent gum disease and the consequences are unforgiving. I’ve never heard of dental pro 7 but it sounds like it’s sure helps! How often do you need to use it to see results? And do you only use it for a short amount of time or do you need to use it perpetually like you do with brushing and flossing? Ideally you want to use it 3 times per day in a period where you know there wont be any food consumption. so once in the morning after your breakfast and then at midday after you have had lunch and then finally at night time before you go to bed. Do this everyday and within 2-4 weeks you should start seeing results. Coming to your other point, once you have noticed a massive change within your gum health, you can tone the use of dental pro 7 down to once a day. If you completely stop the bacteria will multiply in large numbers again and this could cause gum issues to reappear. In my younger years, I let myself develop a bad case of gingivitis by neglecting my dental hygiene. I can attest to everything you’re talking about in this post. When I finally visited a dentist, I ended up parting with $1,200 to clear up the problem. I had to have a “gross scaling” procedure– $400 per quadrant. I didn’t know what they meant when I first heard that. The dentist explained that they divide the mouth into four sections or quadrants. I had to pay them to scrape away the tarter build up for each section. I felt like someone hit me in the mouth when they finished the work. And I was out of a lot of money. I could have saved that money had I brushed, flossed and visited the dentist on schedule. So, when you mention a product for $59.97– it doesn’t sound expensive at all if it really works. Gingivitis is far more expensive than that for sure. Anyway– I’m curious now. Do you brush your teeth first with toothpaste and then apply Dental Pro 7? Or is Dental Pro 7 suppose to take the place of your toothpaste? Wow that is quite alot of money you spent fixing your teeth. Unfortunately that’s what happens when people neglect oral hygiene. 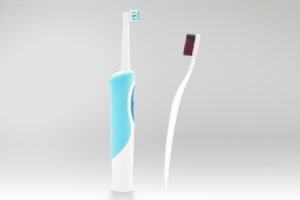 Just doing the basics right would have saved you so much money and pain but it’s not just you, there are millions of people around the world who have no clue on the proper brushing and flossing techniques. After seeing how much you paid for your treatment, dental pro 7 seems like chump change in comparison, maybe it’s not expensive after all. 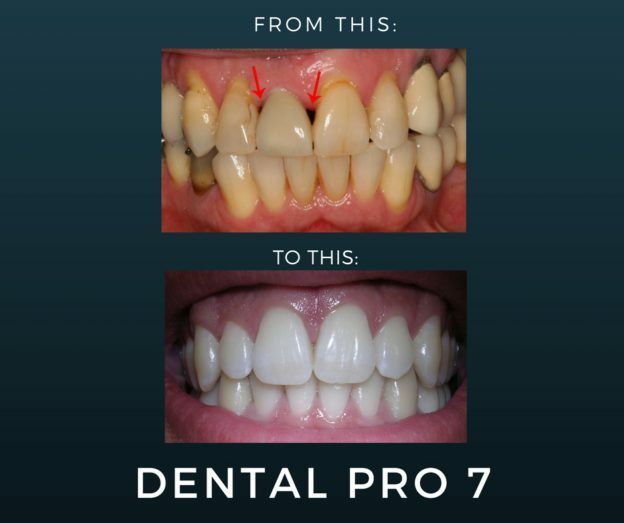 In regards to your question about using dental pro 7, some people like to brush their teeth with normal toothpaste first and then apply the dental pro 7 oil. Others just straight out replace toothpaste and brush with dental pro. Both ways work fine but make sure to apply the product 2-3 times per day if you want to see serious results. I truly believe dental pro 7 is the best treatment for gum disease. What an informative article about the gum and teeth health! 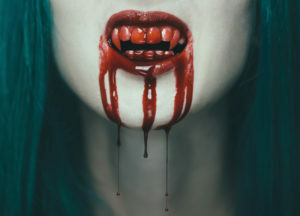 Although the gum bleeding and other related diseases are most common, people simply ignore, even me. Thanks for making aware of what to do and what not to do in general life everyday life. From your article, I understand the importance of chewing gum and rinsing after a meal. 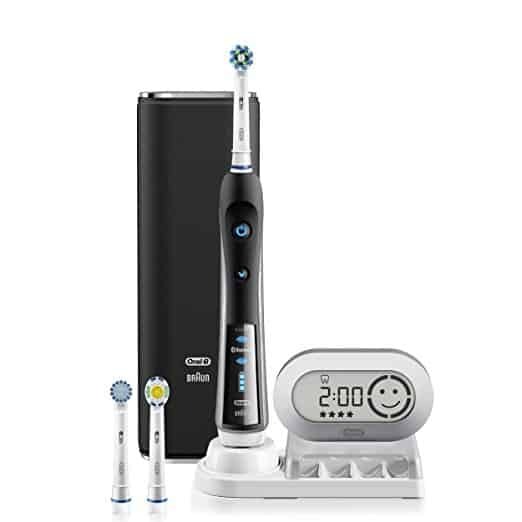 Moreover Dental Pro -7 is purely natural and I would love to use. Your absolutely right about bleeding gums being a common problem, most adults suffer from this and it’s mainly because of bad oral habits i.e not brushing or flossing properly. 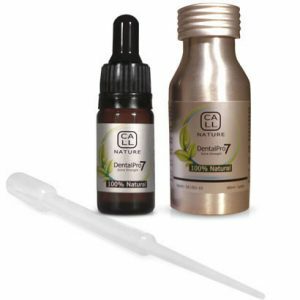 Dental pro 7 is one powerful treatment and when combined with proper oral care will reverse the effects of gingivitis very quickly which is why we recommend it.